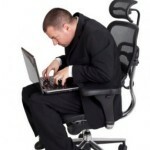 If you are experiencing back or neck pain, that is not something you want to ignore. We know you’re in pain, and you may not be able to get into our office right away. That means you will have the temptation to crack your neck or spine. Please, don’t do that. That will only make the problem worse. The best thing you can do, if you are experiencing pain, and need relief now, is ice your back. Here’s a list of steps you should take to receive the most benefit from icing. Depending on the source of your pain, you may need to ice more than once a day. But don’t leave the ice pack on your neck or back for any longer than 20 minutes. Just go throw it in the freezer, and leave it there for a while.